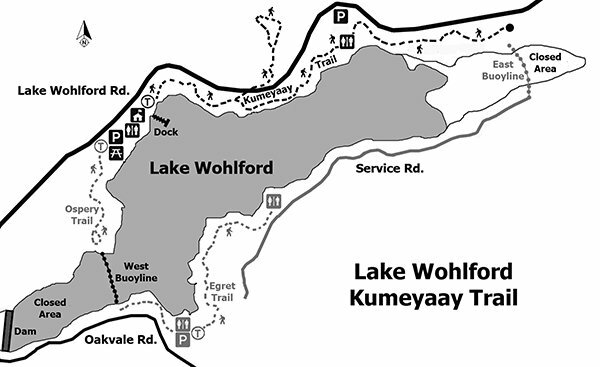 On March 10, 2015, I did a hike on Kumeyaay Trail at Lake Wohlford, guided by a Roam-O-Rama column in the San Diego Reader published on October 15, 2014. The column was very helpful. Without it, I would have found it very difficult to find the trail. 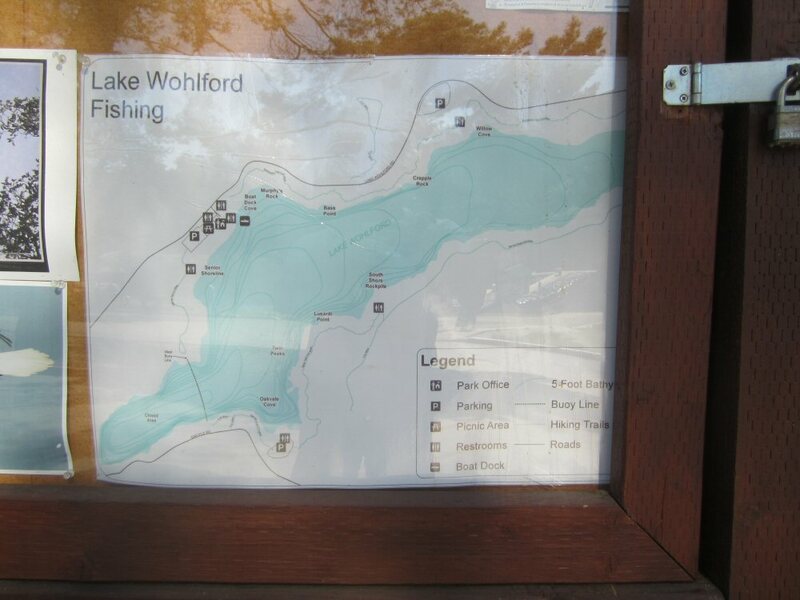 I then hiked three other named trails at Lake Wohlford and mapped Lake Wohlford Road and Oakvale Road. Tracks of these roads have been posted in the Transportation Tracks section of this website. When plotted on the USGS topographic map, the tracks seem to show that the lake level was a bit higher when the map was compiled. Photograph of posted trail map.